Tomorrow I’ll be giving a seminar talk together with Jenny Eklöf from Umeå Studies in Science, Technology and Environment (USSTE). The title is “BIOFUELS IN PUBLIC SPHERES: How old and new media shape the biofuel controversy under the influence of technoscientific marketing”. All Umeå people are very welcome!!! While biofuels have been celebrated as an eco-friendly alternative to petrol with the potential to slow down climate change in the past, they have come under scrutiny due to their environmental and social impacts more recently. This seminar talk discusses our ongoing research project on the biofuel controversy in public spheres. The main research question to be addressed is how the controversy plays out in the Swedish press and in (Swedish) search engine results. Using “classical” (content analysis) and “digital” methods (search engine queries, link network analysis, issue clouds) we aim to show who the dominant actors are in both spheres, what visibility strategies they employ, and how actors from different sectors (industry, policy, academia) merge. In this analysis we specifically focus on blurring boundaries between different types of information (scientific, journalistic, activist, commercial etc.) and the way strategies of “technoscientific marketing” influence the staging of the controversy in the media and search engine results. This case study enables us to draw conclusions on how actors’ visibility strategies and different media (and their underlying mechanisms and business models) work in tandem to create blurred knowledge boundaries/ processes of information commercialization. 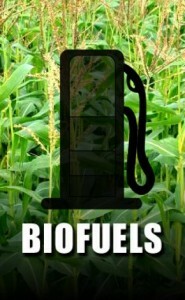 This entry was posted in lecture and tagged biofuels, controversy, media, search engine by astrid. Bookmark the permalink.